As organisations representing Rohingya people in 9countries, we express our deep concern and disappointment at the decision by the European Union not to use our name when referring to us. The denial of our ethnic identity is an integral part of the discrimination that we face. By failing to use our name, the European Union is not taking a neutral position. It is siding with racists and nationalists rather than with the oppressed and vulnerable. 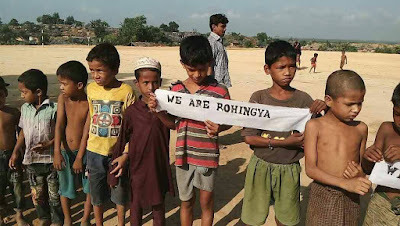 In the past five years, racists, nationalists and the government administration under former President Thein Sein have deliberately and tactically significantly escalated controversy over the use of the name Rohingya as part of their campaign against us. By refusing to use our own name when talking about us, the EU is handing a victory to racists and nationalists. This will only encourage them to step up their campaigns against us. “The right of minorities to self-identify on the basis of their national, ethnic, religious and linguistic characteristics is related to the obligation of States to ensure non-discrimination against individuals and groups — a central principle of international human rights law.”The EU is now violating that central principle. First: Action on hate speech. Those inciting hatred and violence against Rohingya, Muslims and other ethnic and religious minorities have continued to do so with impunity under the NLD led government. Second: The immediate lifting off all restrictions on humanitarian aid to Rohingya, Rakhine and other communities in Rakhine State. These restrictions, which have been continued by the NLD led government, are costing lives. There can be no excuse for keeping them in place. Third: Bringing the 1982 citizenship law into line with international law and Burma’s UN treaty obligations. This law lies at the root of many of the human rights violations and discrimination suffered by the Rohingya. It is inherently unfair and discriminatory. Delaying difficult and controversial decisions only prolongs the problem and the suffering. As the continued campaigns against the Rohingya, and renewed anti-Muslim violence have demonstrated, the NLD led government does not have time or space to delay action. Action and strong leadership is needed now to stop hatred, violence and discrimination escalating. It is extremely concerning that the EU should announce that it will effectively side with those denying our ethnic identity on the same week that the United Nations issued a report stating that human rights violations suffered by our people could amount to crimes against humanity. The EU has not issued any statement of concern about this conclusion or taken any practical action in response. The European Union should support an independent United Nations international investigation to assess the totality of the human rights situation in Rakhine State.